Do some cultural sightseeing at Catedral de Ciudad Quesada and Art House. 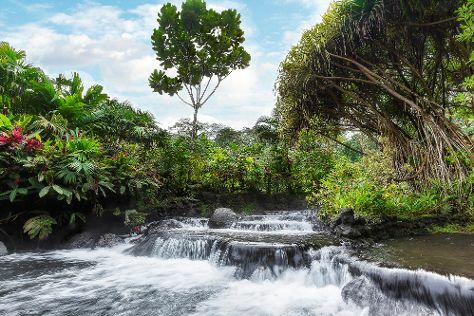 Get in touch with nature at Tabacon Hot Springs and River Rafting & Tubing. Spend the 4th (Sat) among the fascinating landscape of Arenal Volcano (Volcan Arenal). 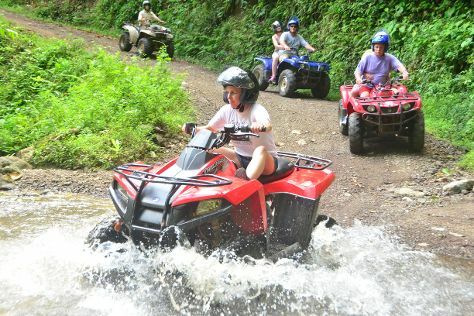 For traveler tips, where to stay, and tourist information, go to the La Fortuna de San Carlos itinerary builder. Newark, USA to La Fortuna de San Carlos is an approximately 10-hour flight. Traveling from Newark to La Fortuna de San Carlos, you'll gain 1 hour due to the time zone difference. Finish your sightseeing early on the 6th (Mon) so you can drive to Manuel Antonio National Park. Get outdoors at Parque Nacional Manuel Antonio and Playa Biesanz. To see maps, other places to visit, photos, and more tourist information, go to the Manuel Antonio National Park trip generator. You can drive from La Fortuna de San Carlos to Manuel Antonio National Park in 4.5 hours. Alternatively, you can do a combination of taxi and shuttle; or do a combination of shuttle and bus. In March in Manuel Antonio National Park, expect temperatures between 80°F during the day and 66°F at night. You will have some time to spend on the 9th (Thu) before leaving for home. The white sand beach of Playa Flamingo has become a go-to tourist getaway by the sea. Get ready for a full day of sightseeing on the next day: push the limits with an extreme tour, stroll through Playa Conchal, and then stop by Bahia Artshop. To see photos, where to stay, and more tourist information, read Playa Flamingo custom trip planner. 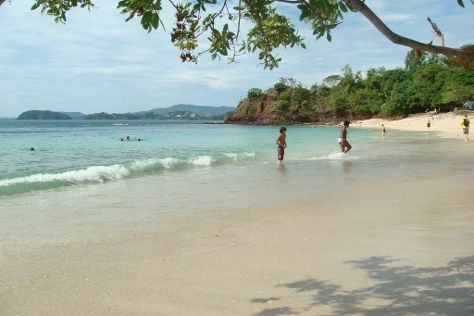 Traveling by combination of bus and flight from Manuel Antonio National Park to Playa Flamingo takes 6 hours. Alternatively, you can drive; or take a bus. Traveling from Manuel Antonio National Park in March, expect nights in Playa Flamingo to be about the same, around 71°F, while days are a bit warmer, around 94°F. Wrap up your sightseeing on the 11th (Sat) early enough to drive to Playas del Coco. You've now added Playa Conchal to your itinerary. Get ready for a full day of sightseeing on the 12th (Sun): experience rural life at The Monkey Farm and then tour the pleasant surroundings at Playa Conchal. For ratings, other places to visit, more things to do, and other tourist information, go to the Playas del Coco trip builder. Drive from Playa Flamingo to Playas del Coco in an hour. Alternatively, you can drive. March in Playas del Coco sees daily highs of 94°F and lows of 71°F at night. Wrap up your sightseeing by early afternoon on the 14th (Tue) to allow enough time to travel back home.